Zubin Mehta, Sabine Devieilhe, Mauro Peter et al. 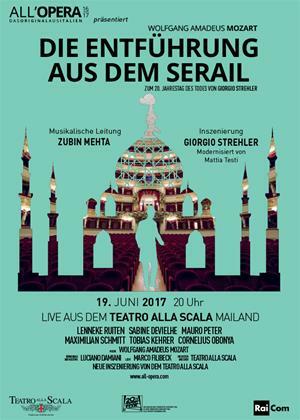 Zubin Mehta conducts the Teatro alla Scala Orchestra and Chorus in this production of Mozart's work. Lenneke Ruiten plays the role of Konstanze with the rest of the cast including Sabine Devieilhe, Mauro Peter, Maximilian Schmitt, Tobias Kehrer and Cornelius Obonya.